Tommy Waller, president and founder of HaYovel, found his life’s mission in the mountains of Israel. His entire family works alongside him to educate the Christian world about the unique role of the Jewish people and their position in the nation of Israel. Brayden’s life was radically impacted when he met his Savior, Yeshua, as a young boy. His greatest desire is to be a man after God’s own heart. Brayden is known for his music, his love for Jerusalem, and his caring and watchful heart. In 2009, God revealed to Brayden his wife, Talitha, and led them through the process of betrothal and marriage. Their testimony has made a huge impact on many couples and families. Four years ago, they decided to travel the country sharing their testimony on the Love and Purity tour, which has now become an annual adventure. Music has been a big part of both Brayden’s and Tali’s lives since they were young. Over the years, they have been key players in releasing The Psalms of Ascent CD and a live worship concert that produced the CD Blessed is the King Who Comes. Recently, they have begun to devote more time to recording the many songs God has given them. In 2007, Brayden became enamored with the Hebrew language. After attending an Ulpan Hebrew course in Jerusalem in 2010, he began teaching modern Hebrew to small classes. In 2013, the class began expanding, and today, Brayden directs a Hebrew course in Missouri that hosts 50+ students each year. 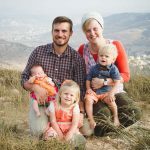 Brayden and Tali are raising their current chorus of five children to loudly and joyfully sing Scripture songs, whether serving in Israel or at their home in Missouri. They pray the Father continues to add to their homegrown choir. 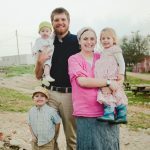 Zac Waller was born in Kentucky and raised in the hills of Tennessee, but found his life calling on the mountains of Samaria in the Heartland of re-born Israel. At the age of thirteen, he dedicated his life to the God of Israel and professed Yeshua (Jesus) as his Lord and Savior. Little did he know that this commitment would lead him to a thriving vineyard on the Mount of Blessing in Samaria. It was there, during the grape harvest of 2007, that the call was made clear - Almighty God was resurrecting the land and people of Israel, and the nations needed to participate! That following year, in recognition of his managerial giftings that had blossomed while farming with his family in Tennessee, HaYovel’s Board of Directors voted him in as its Director. After six years of much growth and success, Zac was promoted to the position of Executive Director. 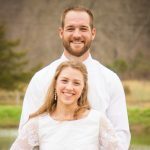 In the spring of 2012, Zac chose Becca Jackson, a beautiful and virtuous young lady who had volunteered during two prior harvests, to be his bride. They are now the proud parents of four lionhearted boys and their little princess. 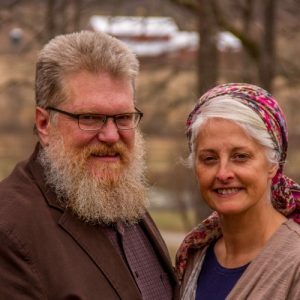 In addition to his leadership in HaYovel and family responsibilities, Zac hosts a weekly radio show called “The Heartland Connection.” The stories from his life experiences, combined with thought provoking teachings from the Scripture and Jewish culture are a beacon of light to many around the globe. Worshipping his Creator through music and song is also a passion of Zac’s. He began leading worship at his congregation at age 15. The Waller family and friends have produced several albums. Zac is most known for his songs Israel, You’re Not Alone and Restoration. Zac Waller is a leader, a teacher, and a man of faith, dedicated to walking with, equipping and undergirding God’s people in the nations, empowering them to serve the God of Israel, bringing about the restoration of all things! Joshua is the third oldest of the 11 Waller children. He first came to Israel when he was 14 years old with his family, and felt the Land and her people grip his heart. Since then, he has been actively involved in field operations in Israel. At a young age, Joshua took on and successfully managed the Harvest and Pruning trip operations for many years. Now, Joshua works as HaYovel’s Operations Director for both Israel and US operations. He enjoys the logistical puzzle of working it all out, and the encouragement he gets to communicate to the HaYovel staff and every volunteer he meets in Israel and the nations. In the States, Joshua works at overseeing and improving the MO campus, and coordinates the staff for Family Week, Hebrew School and various other US events. He also appears on The Joshua & Caleb Report show with his twin, Caleb, and speaks across the United States. Joshua loves to share a good report of the Land with everyone he meets, in the same spirit as his biblical namesake. In 2016, Joshua found and married the love of his life, Katelyn, in their most favorite place on earth—the vineyards of Israel. They just recently had their first baby, a girl! Joshua and Katelyn are passionate to see the Land of Israel become green again and the nations take part in Israel’s redemption. The two love working together as a team and praise the Father that they get to be a part of building up the Land and people of Israel as their life’s calling. Nate Waller grew up in the work of HaYovel, being number five of the eleven Waller children. He has a passion to see Israel’s restoration and the Temple rebuilt in Jerusalem. He and his wife, Katie, along with their three beautiful children, are blessed to be able to work almost full-time in Israel, spending short periods of time in the States for events. Nate works with his brother Joshua to coordinate the volunteer seasons in Israel, and to carry out many of the logistics for volunteer programs. He maintains ongoing communication with the vineyard owners and plans work days for harvest, pruning and other events throughout the year. Currently, Nate serves as Head of Housing on the campus in Israel, organizing lodging for volunteers and growing facilities, as necessary. He is also the Head of Security, both in Israel and the States. As eighth born in the the Waller family, Havah grew up loving Israel. She always had a passion for life, art and creativity. 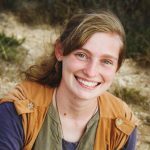 When she got her first camera at age 13, she decided to convey to the world both of her passions by visually displaying the beauty and hope of Israel in a creative way so that the world would see God's promises coming to life right before their eyes. She now works as HaYovel's lead photographer and graphic designer. The more photos she takes and graphics she designs, the more her passion grows toward God and his land. Randy grew up in Virginia Beach, VA. In 1980, he married Lynne (also a native of Virginia Beach), and a few years later went to work for the Department of Defense, working for the Navy, Army Reserves, and Army Corps of Engineers throughout his 33-year career. Seven years into marriage, right before he was transferred to work in Guantanamo Bay, Cuba, Randy gave his life to the Lord. They lived in "Gitmo" for five years, which was a pivotal time of spiritual growth for Randy. Coming back to Virginia Beach as a Christian, Randy had his family involved in many church activities, as well as helping the children with their music lessons and local youth orchestras. He also began a lawn care business with his two oldest sons so they could work together and give the boys some income. 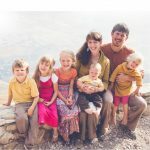 In 2008, now with eight children, the family's worldview and lives began a drastic change when they took their first trip to Israel with HaYovel. After several years of traveling to Israel, Randy began working to process HaYovel’s visas during the evenings while continuing his job during the day. At the end of 2014, however, he made the decision to leave his employment of 32 years and join the full-time staff of HaYovel, then taking on a wide variety of responsibilities, including directing both the Volunteer Enrollment and International Advocacy departments. He is also a part of the leadership team and is a community elder during HaYovel trips and programs. He feels immensely privileged to help bring volunteers from all over the world to serve the Jewish farmers in the heartland of Israel, and is completely "sold out" for the restoration of the Kingdom. Randy speaks out against replacement theology and "fake news" which seems to make Israel a prime target, and has become an advocate for training other advocates. He believes that the Temple Mount should be a "house of prayer for all nations," and feels privileged to stand with the Jewish people - especially in the heartland of Israel, Judea and Samaria. Randy feels that his greatest accomplishments include raising eight wonderful children and being blessed thus far with nine grandchildren. Lynne was born in Virginia and grew up in the southeast corner of the state, Virginia Beach. One of the great joys of her life has been raising and homeschooling eight children, based on the solid foundation of the Word of God. In 2008, Lynne’s life was forever changed when she and two of her children made their first trip to Israel with HaYovel. After witnessing the incredible work of the Kingdom that was in process in the land of Israel, Lynne, and eventually nearly all the rest of her family, joined forces with the Waller family in their kingdom-building work in the heartland. In 2011, Lynne began interviewing the hundreds of volunteers that apply to join HaYovel in Israel each year, along with processing their applications. Six years later, Lynne works in the since created Volunteer Enrollment department that is headed by her husband, Randy. She works hard to make the application and interview process a pleasant experience for HaYovel’s female volunteer applicants, and also helps give them a blessed and life-changing time after they arrive in Israel. This includes the role of “camp mother,” not only at the harvest, but also at other HaYovel functions, which provides endless relational opportunities. Lynne also continues to homeschool her two youngest children. Lynne is tremendously blessed to have grandchildren nearby, and feels greatly privileged to work closely with her husband and six of her children. Among her greatest heroes are the courageous pioneers in Judea and Samaria, that the world calls "settlers." 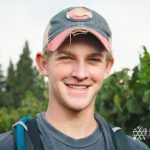 Luke Hilton was born and raised in Virginia Beach, VA. At age 16, he decided to go to Israel when his mom invited him to join her on a trip to the Holy Land. Little did he know, he would be forever changed as he began to see his Bible come to life. Since then, and more than fifteen trips to Israel later, he has become a passionate advocate on behalf of Jerusalem, Judea and Samaria - the heartland of Israel. 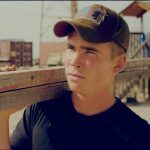 Luke has been speaking to groups around the world since 2011, and has traveled extensively in the United States, Canada, New Zealand, and Australia. His heart is to see God’s Kingdom restored to Israel. Luke's management abilities in marketing and media began to surface in 2014, and in the spring of 2016, Luke became the Director of Marketing at HaYovel. His job includes overseeing email campaigns, social media, website design and programming, as well as advertising, printing, and producing HaYovel products and media. Under Luke's gifted hands, HaYovel's media team has gained international airtime for the popular show The Joshua and Caleb Report: Stories from the Heartland of Israel. Luke also serves as a writer and producer of the organization’s many short films. In 2014, Luke found the love of his life in Olivia Waller, and they were married soon after. They now have 3 beautiful children, Aliza, Azriel, and Ora. When not traveling, the family divides its time between southeast Missouri and Israel. Ben grew up in an amazing homeschooled family of eight children in Virginia Beach, VA. Since he was very small, Ben has been fascinated with technology and creative imagination, always thinking "out of the box." 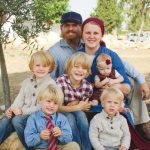 Homeschooling lent itself well to this bent, and in 2010 Ben made his first trip to Israel with HaYovel, which drew him toward his life calling. In 2012, Ben began to produce short promotional videos for HaYovel with his older brother, Luke, and soon realized that media was the calling God had placed upon his life - a calling to see the redemption of Israel and the nations of the world accepting this redemption. Ben applied himself to diligent study to bring excellence to this work, which has resulted in the production of hundreds of short films promoting Israel and the work of HaYovel. He has also filmed, edited, and released over 30 episodes of a television show called The Joshua and Caleb Report thus far, interviews that tell the captivating stories of some of the courageous pioneers in the land of Israel. After ten trips to the Land, Ben now feels very blessed to spend most of his year in Israel. He can be found either behind a camera or his editing computer, enjoying nothing more than crafting an inspiring story through the medium of film, that will touch the hearts and emotions of many and call them to play a greater part in the story of God's Kingdom. Rebekah first came to Israel in 2013 with HaYovel. It was there that the Bible stories she had read her whole life finally burst into vibrant color. 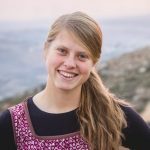 Rebekah has been blessed to return to Israel several times since then, and in the first part of 2017, became full-time staff. Rebekah is currently serving as the Events Manager, making sure events are properly staffed and those working the events have everything they need to fill their roles. Rebekah is passionate about being a part of the restoration of the Land of Israel and seeing the Holy Temple rebuilt in Jerusalem and Messiah sitting on His throne. May we see it soon and in our days! Luke Murphy was born and raised in Colorado and has had a passion to serve the Jewish people from a very young age. Luke serves as our Transportation Director. His responsibilities include the booking of all flights for our staff and for our volunteers, organizing all of our vehicle rentals, as well as specific transportation details and logistics for each day of the harvest and pruning trips. Luke is excited to be taking part in what God is doing in the land of Israel before our very eyes. Andrew's first trip to Israel was with HaYovel in 2014. It was a dream come true and his heart was captivated by God’s loving faithfulness to His people and the breathtaking story of redemption that is unfolding in the Land of Israel during this generation. For Andrew, that first trip to Israel was the beginning of a lifelong calling and passion to share the story and the beauty of Israel with the world. 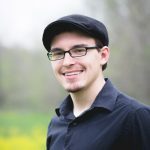 In 2015, Andrew graduated from HaYovel’s 6-month pilot Heartland Ambassador Internship Program and now works full-time on HaYovel’s staff in the Marketing and Media Department as a videographer and marketing administrator. Andrew works with Ben Hilton to script, film and produce The Joshua & Caleb Report for TV, as well as other high-quality, pro-Israel media watched around the globe. As Marketing Administrator, he manages HaYovel’s social media pages and email newsletter list, keeping people informed of what is happening in Israel and how they can become a part of it. Known colloquially as “the tech guy,” Andrew is also a spreadsheet specialist and handles HaYovel’s phone and internet connectivity in Israel. When he is not in Israel filming or helping run volunteer trips, Andrew lives with his family in Missouri. Growing up in a small town in Canada, Israel and the reality of the coming redemption was only a faint rumor, a dream - not a calling that Levi was pursuing. However, it was a dream that Kim, Levi’s father, already had burning inside of him. 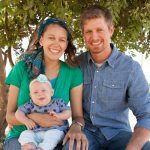 In the fall of 2010, Kim and Levi made a trip to Israel together for the first time with HaYovel, for the three week harvest. At the age of 12, Levi had no idea what he was being prepared for! Almost a year later, Kim passed away, leaving Levi and his mother to take or leave the Israel dream. In 2011, Stefania made her first trip to Israel to volunteer with HaYovel and was always looking for ways to help out within the organization. Since 2011, she’s made five more trips to the Land with HaYovel. It was always a deep desire of hers to be a part of the HaYovel staff and become more involved in the restoration process. In November 2016, Stefania came on staff full-time and began working as the Donor Relations Coordinator. She is the fourth oldest of 10 children and lives in Ohio. She is passionate about what God is doing in Israel, and has made the decision to devote the rest of her life to seeing the Land of Israel brought back to life, and Jerusalem made a praise in all the earth. Alexandra has served as part of the HaYovel staff since the beginning of 2017. Her passion to serve began at a young age, from the example her grandmother, father, and mother set as they passionately served in their home communities and across the world. 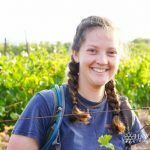 Alexandra began serving the Jewish farmers in Judea and Samaria in 2014 with HaYovel, and has since become an assiduous advocate for the Jewish people to be established in the heartland of Israel - Judea and Samaria. In 2018, Alexandra was married to her darling husband, Jayden Lindstrom; they met each other while serving in the vineyards of Samaria. They share in their passion to, not only see restoration and redemption take place in Israel, but to physically be a part of it. Through their words and actions, they hope to inspire others to support and serve Israel with the same passion and fervor.